Limited time only! ZARA: Year-End Sale NOW On In Stores & Online! 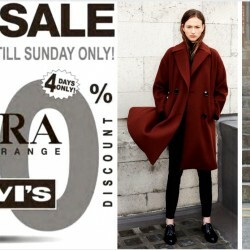 The highly anticipated ZARA's Year-End Sale is now on in stores and online with up to 50% off! Whether you are shopping for new work outfits or casual wear, there will be something for you at ZARA! While stocks last for a limited time only! Limited time only! 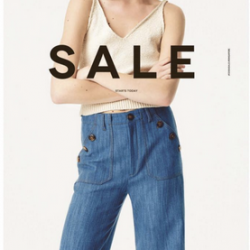 ZARA: Mid-Year Sale NOW On In Stores & Online! The highly anticipated ZARA's mid-year sale is now on in stores and online with up to 50% off! Whether you are shopping for new work outfits or casual wear, there will be something for you at ZARA! While stocks last for a limited time only! ZARA: Year End Sale with Up to 60% OFF in Stores & Online! Ready. Get Set. Shop. ZARA Year End 2017 sale is now on! Head to your nearest Zara or shop online with up to 60% off! 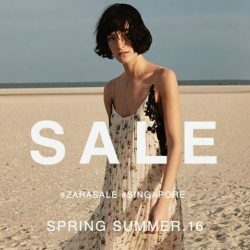 From 22 Jun 2017 ZARA: Spring Summer 2017 Sale with Up to 60% OFF in Stores & Online! Ready. Get Set. Shop. 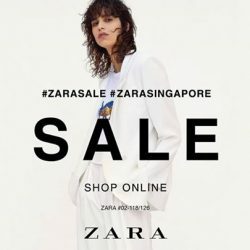 ZARA Spring Summer 2017 sale is now on! Head to your nearest Zara or shop online with up to 60% off! 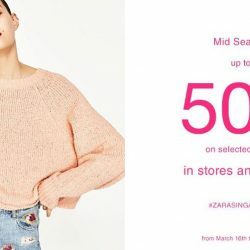 Till 2 Apr 2017 Zara: Mid-Season Sale – Up to 50% OFF Selected Items In Stores & Online! Head to your nearest Zara or shop online for their Mid-Season Sale now! Selected items are on 50% off, check out some of the items below! Sale ends 2nd April. Head to your nearest Zara for their Year End Sale starting today now! Selected items are on up to 50% off, check out some of the items below! 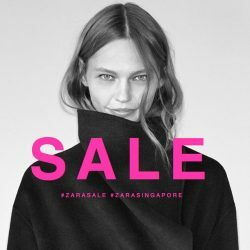 Zara: Great Singapore Sale starts! GSS is finally here at Zara! 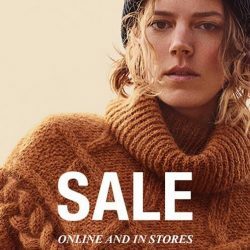 You can check out their sale items online. We have picked out a few must-buys for you! Head down to Holiday Inn Singapore Atrium today and tomorrow for the Zara Parallel Imports Sale! 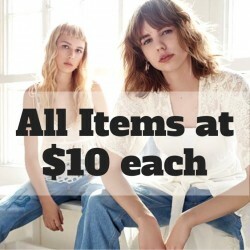 With brands such as Pull & Bear, Zara and more, all items will be at $10 each. While stocks last, so head down now! Head to your nearest Zara for their Mid-Season Sale now! Selected items are on 50% off, check out some of the items below! Get new outfits for CNY at this Zara and Levi's Sale at Holiday Inn Singapore Atrium Hotel from now till Sunday, 24 January 2016! Grab items from Zara's full range (more for women) and Levi's (mostly Jeans) for up to 90% off. While stocks last, so head down now! 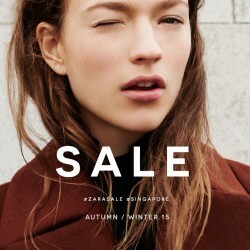 Zara: Autumn/Winter Sale in Stores NOW! 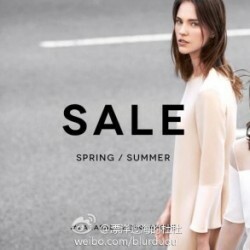 Zara, the Spanish fashion label, is having a Autumn/Winter Sale now! Check out some of the items on sale up to 40% off below, and more on their Singapore website here! Always feel like you’ve got absolutely nothing to wear? Fortunately, this is a problem easily fixed whenever the GSS draws near! Never have that empty cupboard feeling again by treating your wardrobe to the style update it desperately needs! 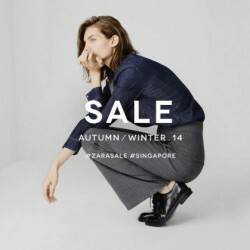 Zara Singapore has quietly launches their Autumn & Winter Sale starting today! Expect lots of bargains as the Autumn and Winter season comes to an end so head down to a Zara store in town today and pick up some of your favourite styles.